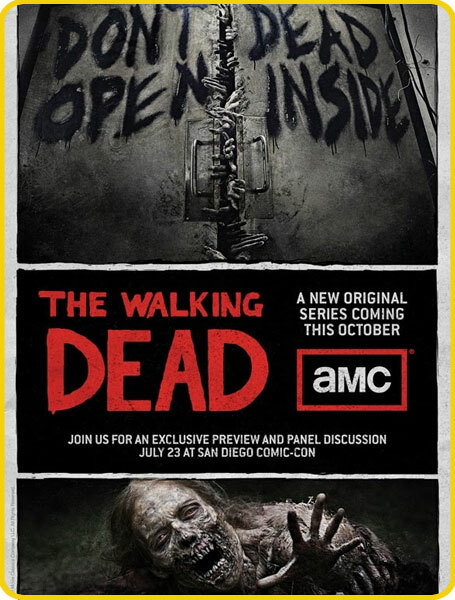 I hope you (like me) are really getting into the new AMC series The Walking Dead. Great story, great acting, and great cinematography. You see the zombies walking around people’s middle-class homes or around a downtown area and it just looks believable (and terrifying). In the midst of this, there is the drama of realistic human interaction with this post-apocalyptic (zomb-pocalyptic) scape and it just rings true. Much like the fight over racial tensions that we looked at in the previous post. There is something other-worldly, though, that happens in both Episode 1 and 2. And it is as surprising as it is touching. Rick Grimes is the sheriff’s deputy who awakes from a coma only to find this terrible new world and reality have replaced that which was familiar. He cannot find his family and there are precious few survivors. In addition, he keeps running into zombies who want to eat him alive. The first zombie he sees in Episode 1 is a really pathetic one. She is quite disfigured (picture included in the poster) and everything below her torso is unusable. Still, she wants to kill Rick just as much as any of the others do. After Rick later gets his bearings, regains his strength, and arms himself, he returns to the place where he first sees this particular zombie. She has crawled away so, at great risk to himself, he tracks her down. He then does something very un-Woody Harrellson-like. He looks at her with great compassion and says, “I am so sorry that this happened to you.” He then painlessly puts her out of her misery. In Episode 2, a group of survivors kill an exceptionally motivated and virulent zombie. After finding out that they are trapped and zombies identify potential victims primarily by smell, they decide to use the dead one as a source of “zombie grime” that will help them slip past unnoticed (gross, I know). Before they “harvest” the grime (which is not a scene for the kiddies, by the way… as if any of this is), Rick takes out the zombie’s wallet and finds his name. There is some money and a photograph or two of his family. In a way, he eulogizes what was once a very real and motivated threat to life and limb. A sense of compassion enters the scene. In this admittedly extreme case, Rick Grimes understands that the walking dead do not choose to be who they turn out to be. Nobody dreams of becoming a ravenous monster who attacks their fellow man. 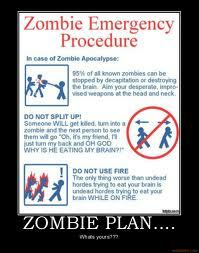 Perhaps we can incorporate this idea of the walking dead into our own lives and relationships. Perhaps a little taste of hyperbole will do us all some good. To read part three of this series, go here. Thanks for this post! I would never ever in a bazillion years watch anything like this, and I still won't, but you have pulled somethings nicely together for me. Little homily for the day there. Glad to help, Christine! Zombie movies aren't for everyone. That's for sure. This brings a whole new meaning to PZ's ( I think) concept of "living posthumously"
Maybe the main actors are "living posthumously" next to "the walking dead". . . .you'll be needing to add this to your plan for long term survival!